Using a 8.5 x 11 inch piece of card stock and your favorite paper trimmer to cut a card base sized to 4.25 x 11 inches. Score and fold in half for a card base sized to 4.25 by 5.5 inches. Cut a card panel sized to 4 x 5 inches. 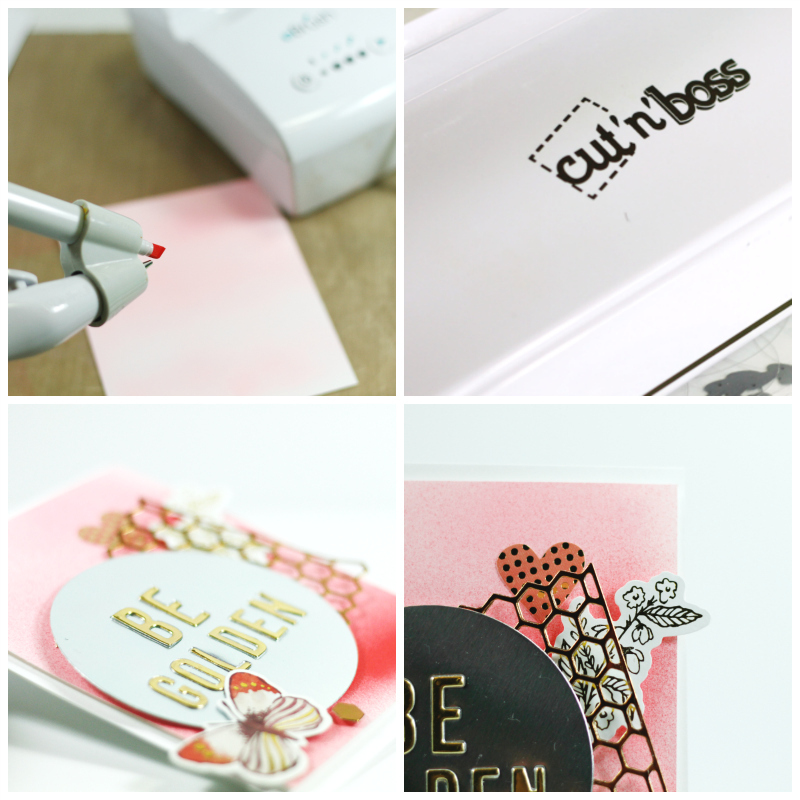 Use the eBrush, the 4 x 5 inch card panel and alcohol ink markers in two shades of pink or rose to create an ombre effect on the card panel, spraying the lighter shade near the top of the card base and the darker shade towards the bottom of the card base. 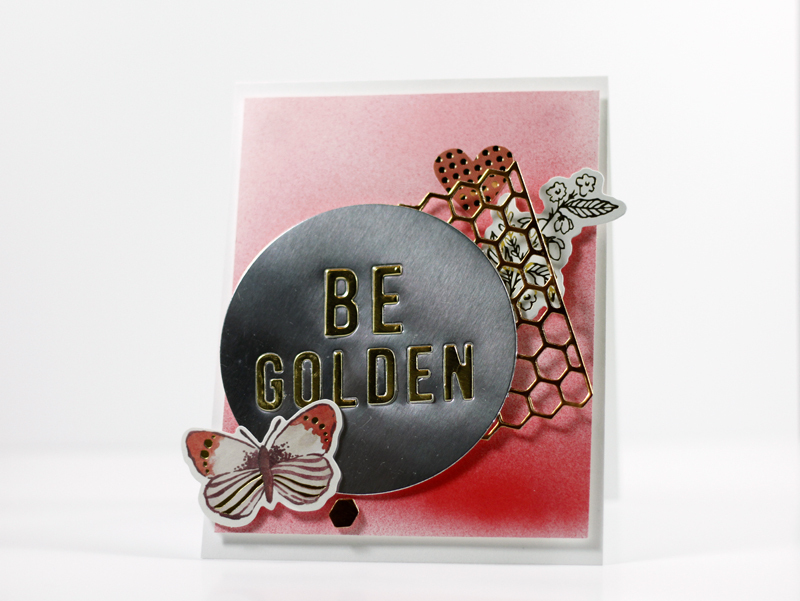 Use Teresa Collins "Be Golden" steel die to cut the sentiment twice from two different colors of foil card stock. Adhere the sentiment from one die cut to the circle portion of the second die cut. Adhere to card base and add ephemera to your taste. Adhere panel to card base! Creating this card was a little outside my comfort zone, but once again, the eBrush and Cut 'N' Boss transformed plain card stock into something truly one-of-a-kind! I hope I have inspired you today. Thank you so much for stopping by the blog!